Explore strategies to promote disclosure, description and classification of the "mysteries" associated with NDEs. Compare and contrast insights of an NDE as viewed from experiencer, scientific and/or spiritual perspectives. 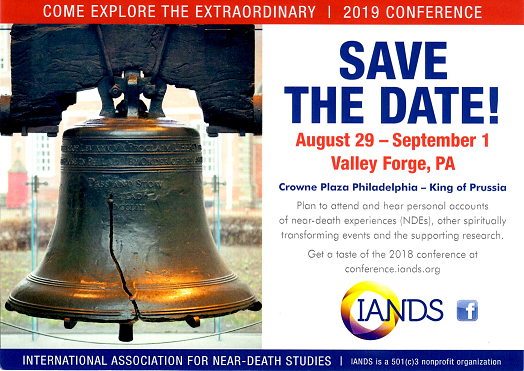 Discuss future research on reported facets of "mysteries" related to Near-Death Experiences. Identify possible practices which might be used to support the NDEer in his/her attempts to integrate an experience from multiple perspectives. Keynote speakers: Pim van Lommel, Jane Katra and Maggie Callanan. Other speakers included PMH Atwater, Nancy Clark, Jeffrey Long, Melvin Morse, Kimberly Sharp, and Claude Swanson. Click for the full List of Speakers and Titles.